The Board of Supervisors took further steps toward creating the first Los Angeles County Department of Arts and Culture Department. 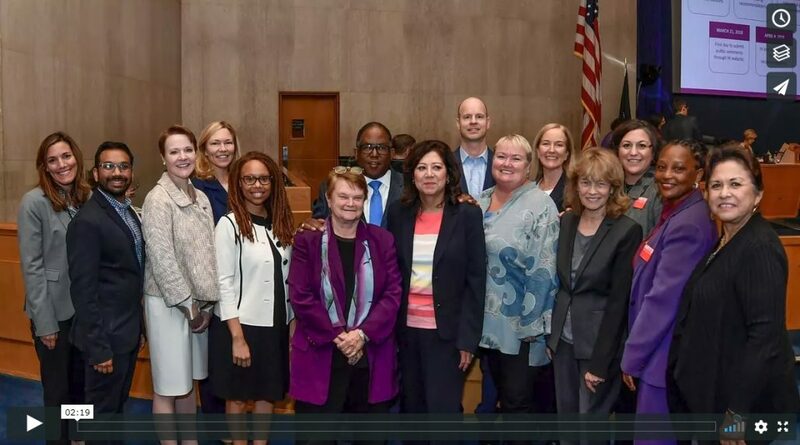 Supervisor Mark Ridley-Thomas and Board Chair Sheila Kuehl had coauthored the motion earlier this year with broad support from arts funders, creators and institutions. The transition of the LA County Arts Commission to the LA County Department of Arts and Culture is anticipated to be completed by July 1, 2019. The LA County Arts Commission was initially established in 1947. It has grown in the last 71 years since from solely supporting local music performances to supporting hundreds of nonprofit organizations and functioning as a full-service local arts agency. Throughout the decades, the Commission’s role has expanded to include innovative and meaningful programs including working with school districts throughout the County to develop and implement a strategic plan to integrate arts into K-12 public schools. It also administers the Civic Art program, where artists are aligned with capital projects to bring aesthetics and programming to the community in which the project is located, as well as the Arts Internship Program. To date, more than 2,000 college and university students participate in a paid internship for ten weeks during the summer in arts organizations and venues throughout the County.